What more could we ask for? “It’s refreshing to see an Asian woman on a major magazine cover. It’s very elegant and chic,” said tFS forum member GivenchyHomme the moment the cover struck. “I love this cover, it makes me smile and feel good. I am visually invested in the fashion, the image and ultimately the cover star: gorgeous!” Bertrando3 added. “Her facial expression might not be the greatest, but if this is the new Allure (and not that mess with Kendall Jenner), I’m interested!” approved Srdjan. “The expression could be better, and I hope we get to see her statuesque presence in the editorial. She’s one of the few celebrities of today who are actually better than working models,” complimented Ken Doll Jenner. Ellastica wasn’t totally sold. “Mixed feelings on this. Of course, props to Michelle [Lee] for putting an Asian female on their cover. However, is this magazine the lovechild of i-D meets InStyle Bridal? Yeah we get an Asian female on the cover but then her stunning face is half shrouded by that flower. I would’ve preferred a bolder color theme on the cover. As it is, all I see is Gemma’s giant clown grin,” she said. 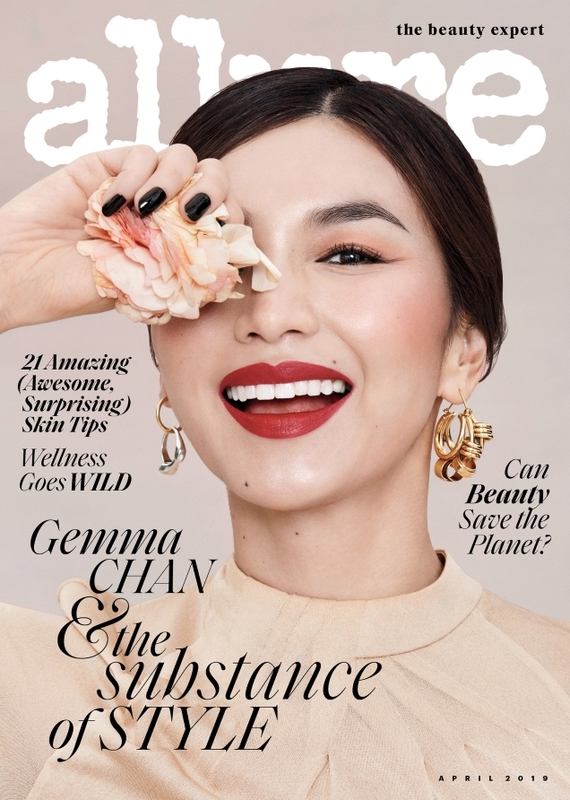 “I think it’s fantastic that she’s on the cover – the only quibble I’d have is that Allure did the ‘flower in front of her right eye’ for Rihanna in October 2018, so if this pose starts happening again and again, it’ll stop being cute,” echoed tigerrouge. Are you into it? See more images from Gemma’s accompanying cover story and join the conversation here.